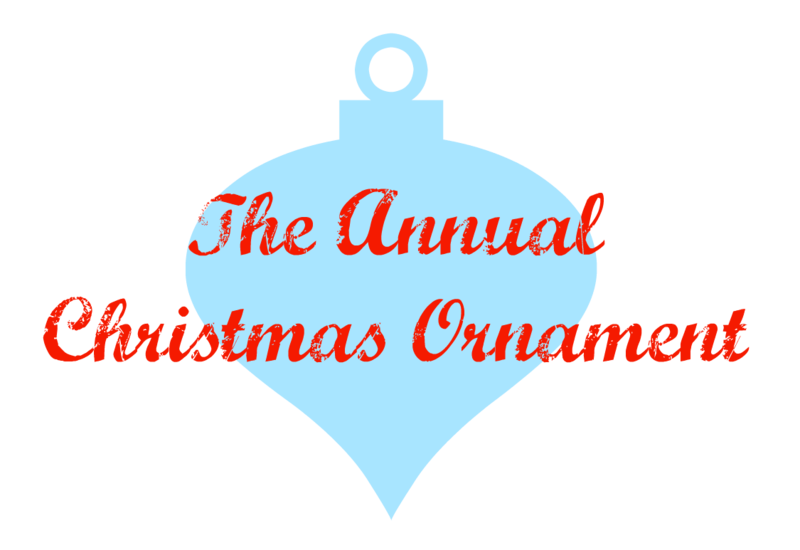 of the 12 Days of Christmas Series! I have absolutely been loving all the crafts and recipes. Nan Gordon is a retired financial analyst turned full-time granny. 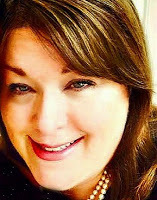 She considers herself to be a chef wanna-be, avid home decorator, world traveler, writer and lover of all things clever. Her blog Granny Fabulosa is all about.enjoying life's golden years. An easy and inexpensive craft project even kids can help with! 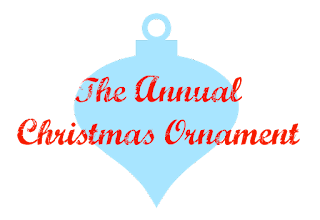 The Annual Christmas Ornament project is a longstanding tradition in our family. 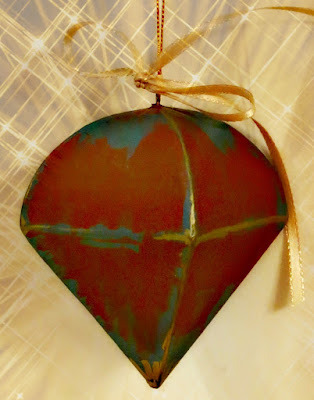 Every year, back when our kids were little, they would craft special ornaments to give away as Christmas gifts to every person who gave a gift to them. 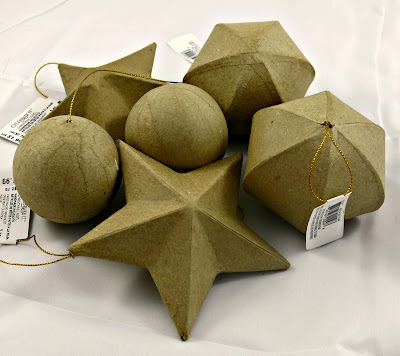 Every year we chose a different project -- from origami to baked clay to painted wood, etc -- and it was always a fun thing for our family to do together. More importantly, it was a great way to teach our children the joy of giving. I hope this is something you will try with your young ones. 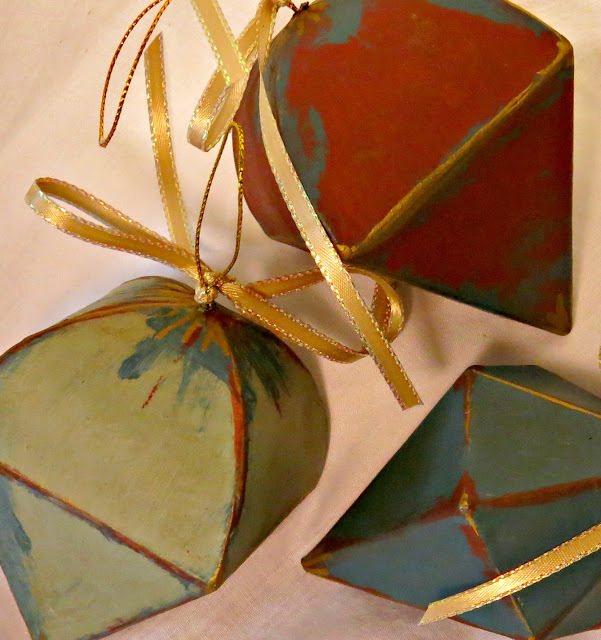 To get you started, let me show you how easy it is to make vintage-looking ornaments with chalk paint. With your adult supervision, even kids can join in on this fun project, so do get them involved. It takes just a few inexpensive and easy-to-find supplies. The brands mentioned are ones I use and like, but choose according to your own preference. 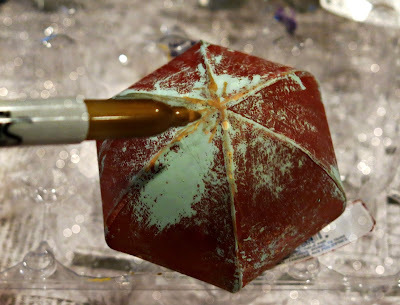 Step 1 Paint a base color onto your forms. Cover the entire ornament, but don't worry about perfection. If you are using chalk paint, you will find it is not only a very forgiving medium, but also easy to clean up with ordinary soap and water. So have fun with it. 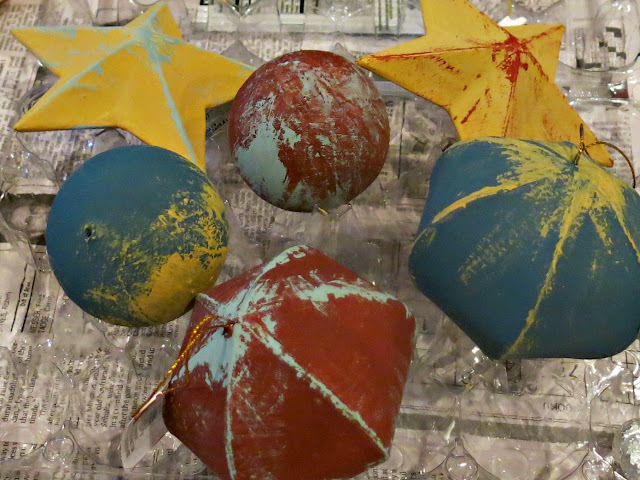 When the painting is done, prop your ornaments in an empty egg carton to dry for an hour or two. 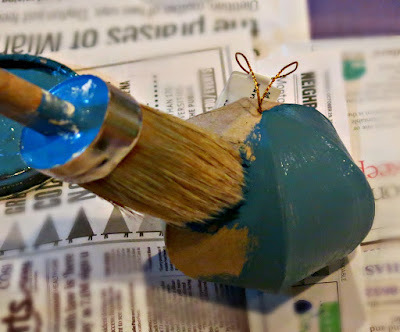 Step 2 When the base coat has dried, choose a contrasting paint color, and with just a bit of paint on the end of a dry paintbrush, begin lightly covering random areas of the ornament. Brush over ridges, at the top and bottom -- anywhere you want to add a pop of the second color. Easy does it, and the messier the better. Then back to the egg carton to dry; it only takes a little while. 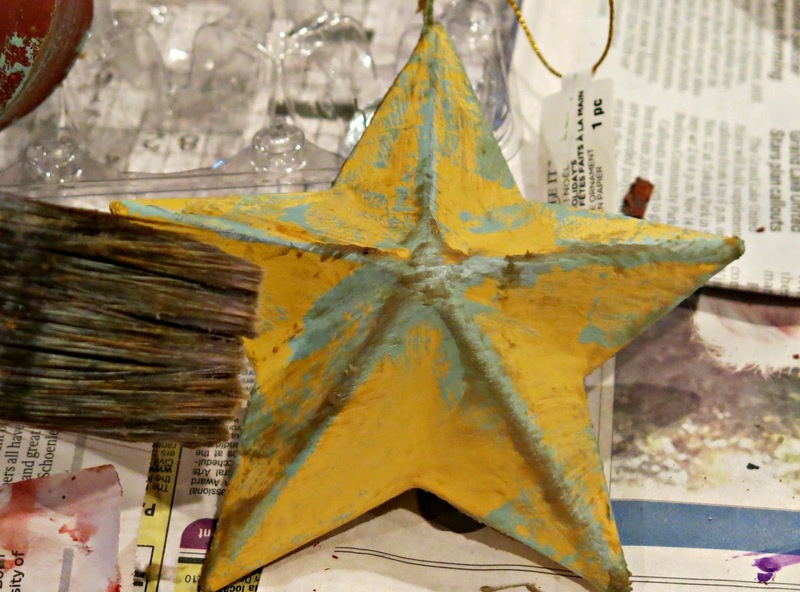 Step 3 To give your ornaments an antique look, apply a little tinted wax. 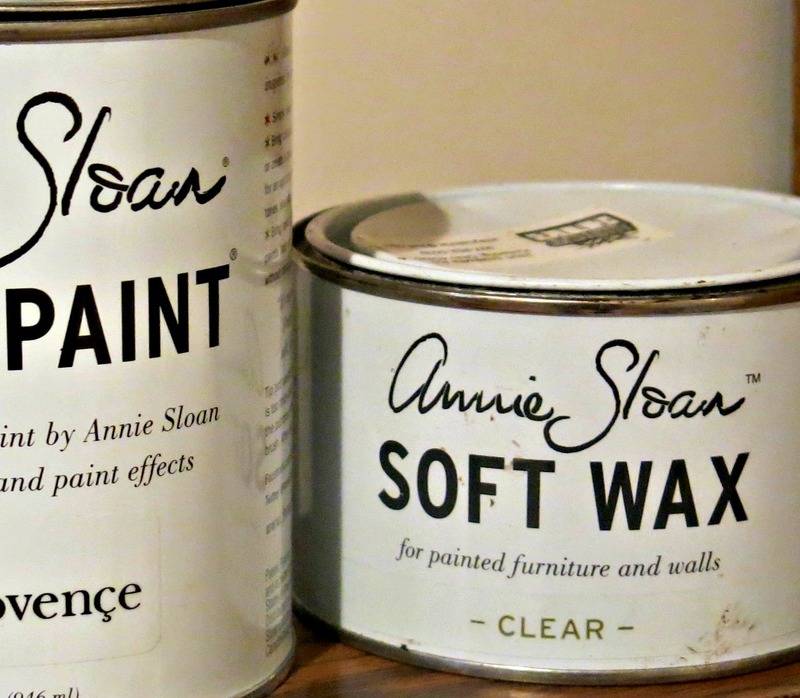 I mix my own 3:1 ratio of Annie Sloan clear and dark soft wax. Brush it on, and then immediately wipe off the excess with a clean cotton cloth. 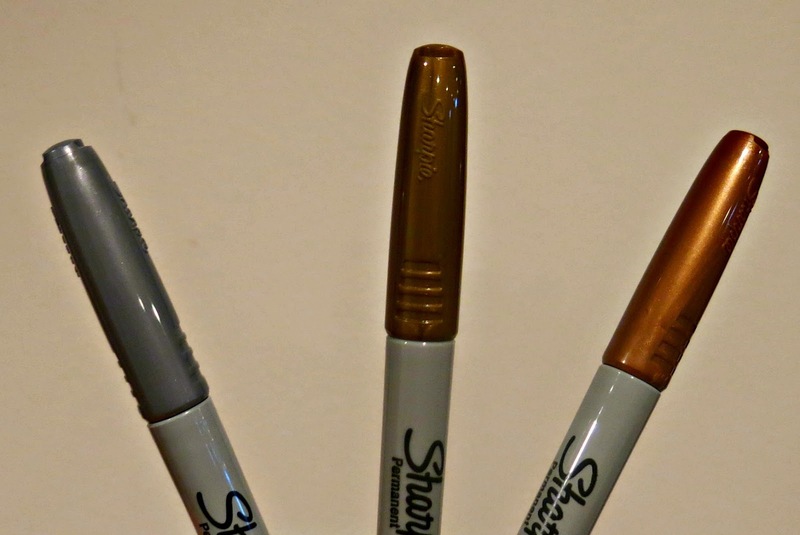 Step 4 Get out those metallic Sharpie markers! Using the side of the felt marker tip, burnish the ridges of your ornament. Scribble a little metallic paint at the top, along sides, anywhere you want a little shine. And that is all there is to it! 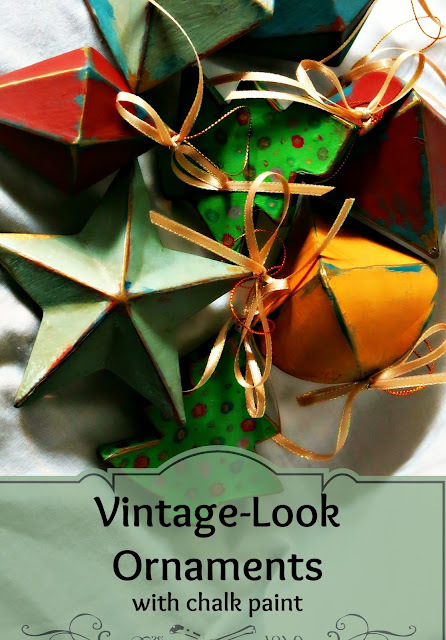 Such a fun, easy project, and the results are spectacular. Make lots of these... you'll want to give one to everyone you know! Wow, so cool Nan! Thank you so much, this will definitely have to be a new tradition in our house! What a wonderful Christmas tradition. I really like your ornaments this year, so much effort but such a pretty result.